Bears, Miniatures, Doll Clothes and Accessories. 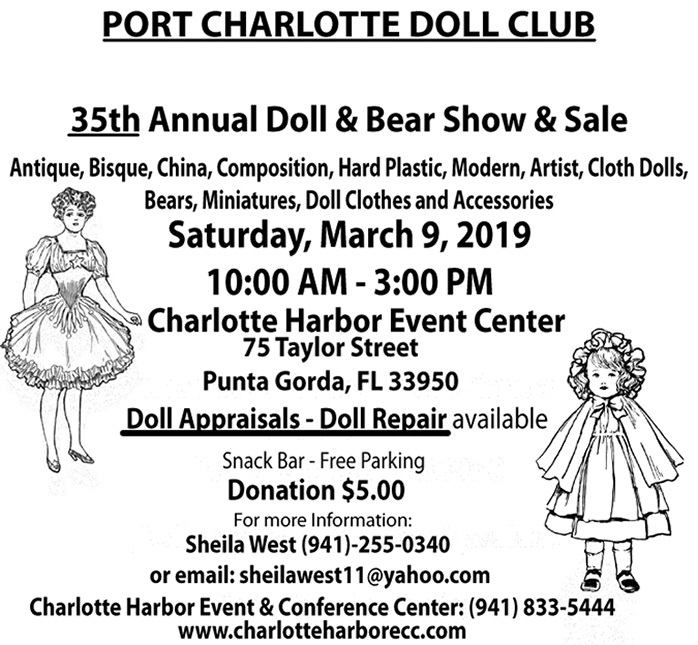 Doll Appraisals – Doll Repair available. March 9, 2019, Saturday from 10:00 am til 3:00 pm.